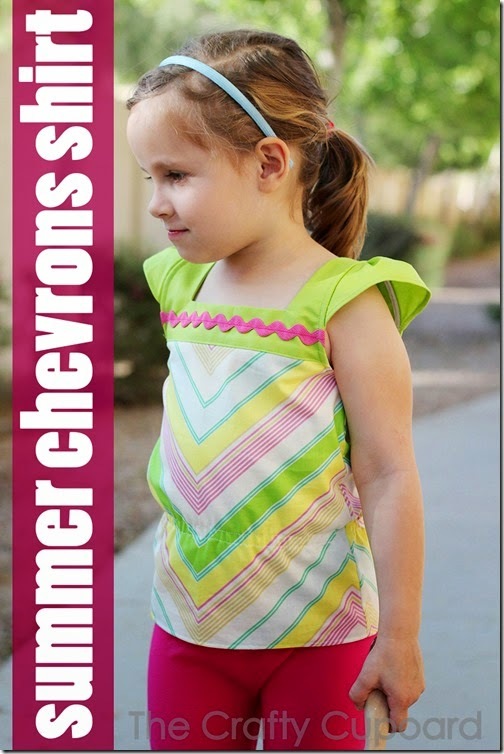 The pattern for May is the Summer Chevrons Shirt by The Crafty Cupboard! Head HERE to see the full tutorial for making this darling Spring/Summer shirt that will be perfect for girls of all ages!!! Cute! This should be a fun one. Does it need to be with the Chevron or can I use any type of fabric?